In this post I present the most comprehensive analysis ever reported of the gender of New York Times writers (I think), with a sample of almost 30,000 articles. I started this project with a snap survey of the gender of writers on the front page of each section of NYTimes.com: result, 36% female from a sample of 164 writers. 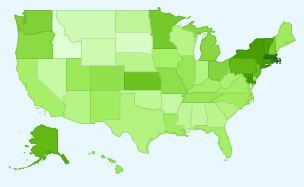 Then I followed the front page of the website for a month: result, 29% female from a sample of 421. For this, Neal gave me everything the NYTimes published online from October 23, 2013 to February 25, 2014 — a total of 29,880 items, including online-only and print items. After eliminating the 7,669 pieces that had no author listed (mostly wire stories), we tried to determine the gender of the the first author of each piece. To start, Neal gave me the gender for all first names that were more than 90% male or female in the Social Security name database in the years 1945-1970. That covered 97% of the total. For the remainder, I investigated the gender of all writers who had published 10 pieces or more during the period (attempting to find both images and gendered pronouns). That resolved all but 255 pieces, and left me with a sample of 21,440. ** These are the results. 1. 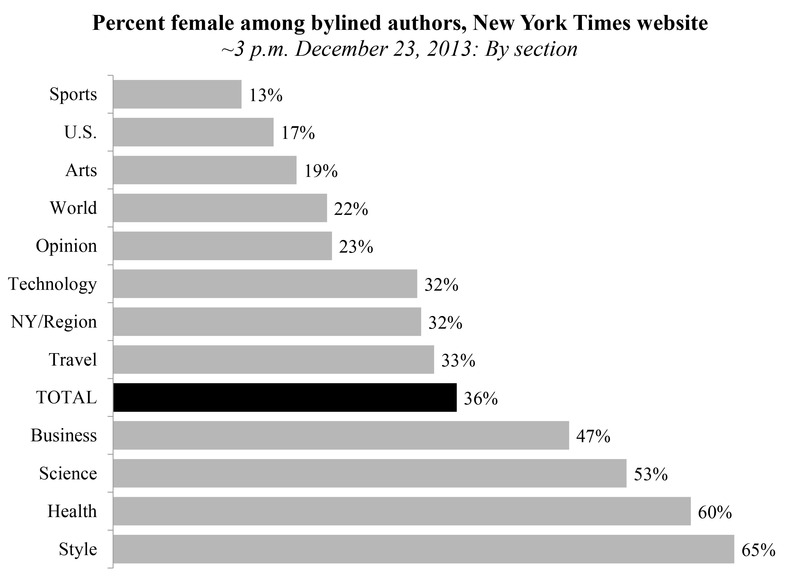 Women were the first author on 34% of the articles. This is a little higher than the WMC got with their A-section analysis, which is not surprising given the distribution of writers across sections. 2. Women wrote the majority of stories in five out of 21 major sections, from Fashion (52% women ), to Dining, Home, Travel, and Health (76% women). Those five sections account for 11% of the total. 3. Men wrote the majority of stories in the seven largest sections. Two sections were more than three-fourths male (Sports, 89%; and Opinion, 76%). 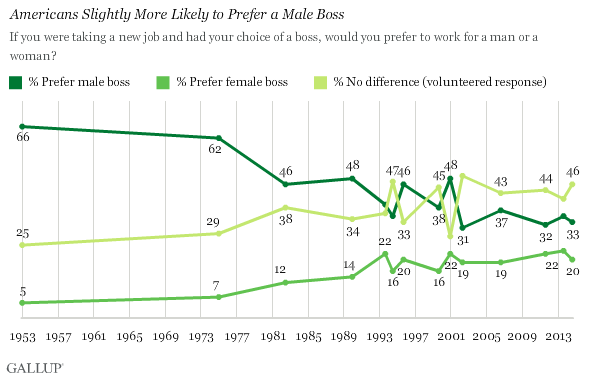 U.S., World, and Business were between 66% and 73% male. Since we have all this text, we can go a little beyond the section headers served up by the NYTimes‘ API. What are men and women writing about? Using the words in the headlines, I compiled a list of those headline words with the biggest gender difference in rates of appearance. That is, I calculated the frequency of occurrence of each headline word, as a fraction of all headline words in female-authored versus male-authored stories. It’s just one newspaper but it matters a lot. According to Alexa, NYTimes.com is the 34th most popular website in the U.S., and the 119th most popular in the world — and the most popular website of a printed newspaper in the U.S. In the JSTOR database of academic scholarship, “New York Times” appeared almost four-times more frequently than the next most-commonly mentioned newspaper, the Washington Post. Research (including this paper I wrote with Matt Huffman and Jessica Pearlman) shows that women in charge, on average, produce better outcomes for women below them in the organizational hierarchy. Jill Abramson, the NYTimes‘ executive editor, is the 19th most powerful woman in the world, behind only Sheryl Sandberg and Oprah Winfrey among media executives on that list. She is aware of this issue, and proudly told the Women’s Media Center that she had reached the “significant milestone” of having a half-female news masthead (which is significant). 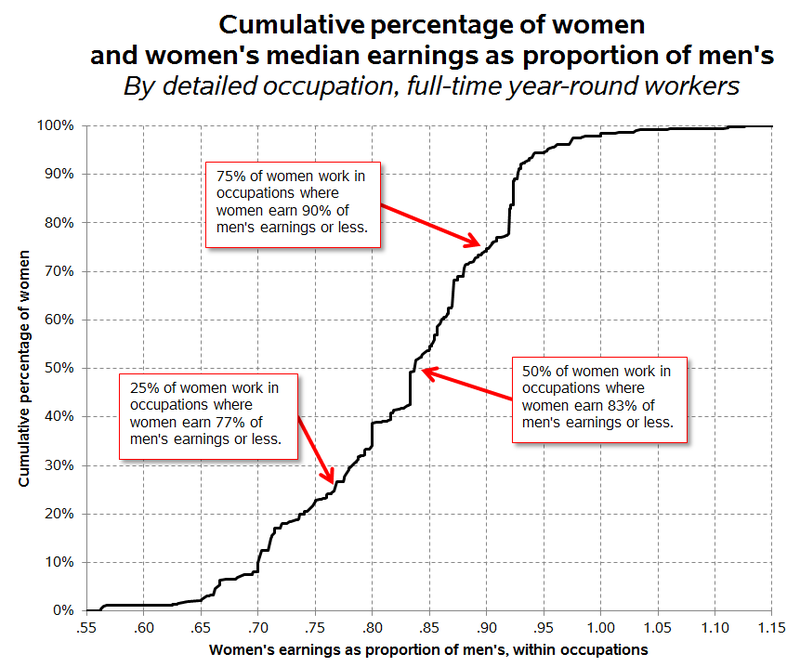 So why are women underrepresented in such prominent sections? That’s not a rhetorical question; I’m really wondering how this happens. The NYTimes doesn’t even do as well as the national average: 41% of the 55,000 “News Analysts, Reporters and Correspondents” working full-time, year-round in 2012 were women. Organizational research finds that large companies are less likely to discriminate against women, and we suspect three main reasons: greater visibility to the public, which may complain about bias; greater visibility to the government, which may enforce anti-discrimination laws; and greater use of formal personnel procedures, which limits managerial discretion and is supposed to weaken old-boy networks. Among writers, however, an informal, back-channel norm still apparently prevails — at least according to a recent essay by Ann Friedman. Maybe NYTimes‘ big-company, formalized practices apply more to departments other than those that select and hire writers. Finally, I am sorry I’m not doing this for race/ethnicity. It’s just a much different project to do that, because the names don’t tell you the identities as well. If someone wants to figure out the race/ethnicity of NYTimes authors (such as someone, say, inside their HR department) and send it to me, I would love to analyze it. * Neal has a series of tutorials on analyzing text as data, and he has posted some slides on how to do this with the NYT’s application programming interface (API). ** A couple other notes. This is a count of stories by the gender of their authors, not a count of authors. 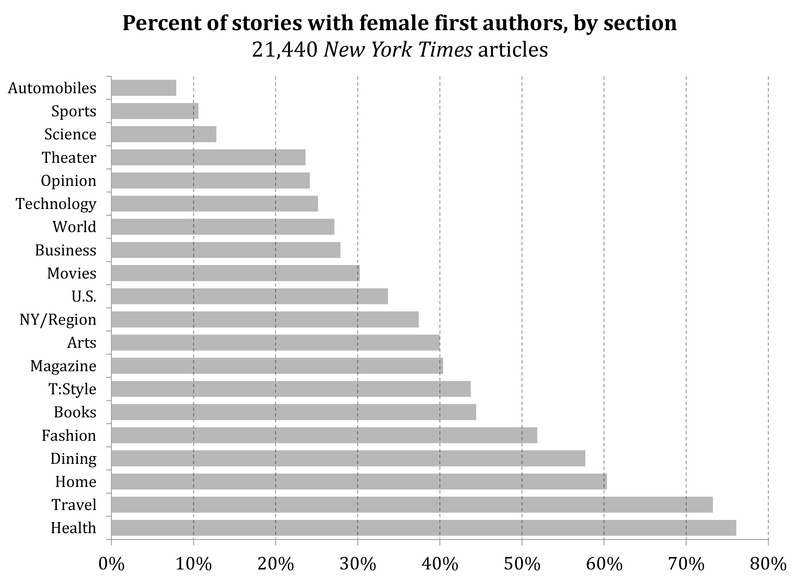 If men or women write more stories per person then this will differ from the gender composition of authors. So it’s not a workplace study but a content study. It asks: When you see something in the NYTimes, what is the chance it was written by a woman versus a man? I combined Sunday Review (which was small) with Opinion, since they have the same editor and are the same on Sundays. I combined Style (which was small) into Fashion, since they’re “Fashion and Style” in the paper. I combined T Mag (which was small) into T:Style, since they seem to be the same thing. Also, I coded Reed Abelson‘s articles as female because I know she’s a woman even though “Reed” is male more than 90% of the time. What do doctors, lawyers, police, and librarians Google? What do doctors, lawyers, police, and librarians Google? I’ll tell you. But first — if you are going to take this too seriously, please stop now. 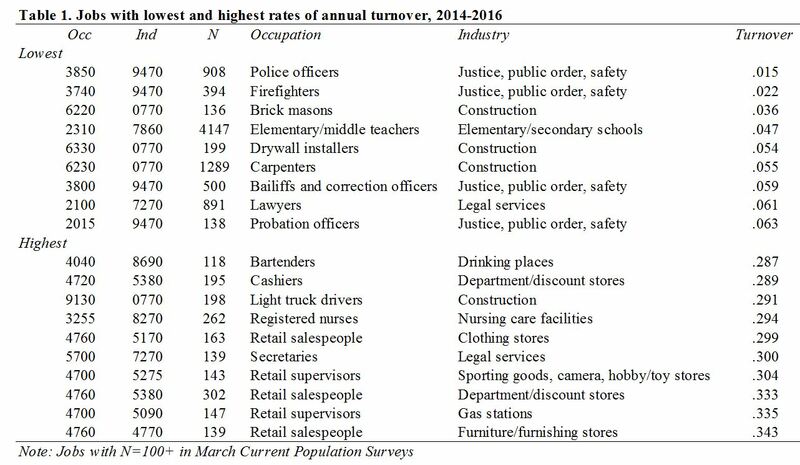 Using IPUMS to extract data from the 2010-2012 American Community Survey, I count the number of people ages 25-64, currently employed, in a given occupation. 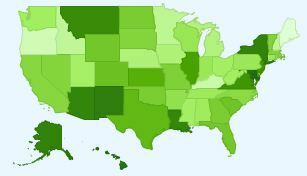 I divide that by each state’s population in that age range (excluding Washington DC from all analyses). 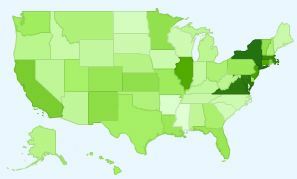 I enter those numbers into the Google Correlate tool to see which searches are most highly correlated with the distribution of each occupation across states (the tool reports the top 100 most correlated searches). 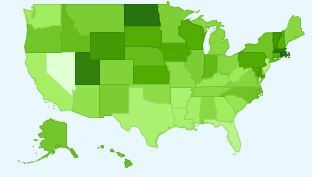 In other words, these are searches that maximize the difference between, for example, high-lawyer and low-lawyer states — searches that are relatively popular where there are a lot of lawyers, and relatively unpopular where there are not a lot of lawyers. Is this what lawyers actually Google? We can’t know. But I think so. Or maybe what people who work in law firms do, or people who live with lawyers. It’s a very sensitive tool. I made this case first in the post, Stuff White People Google. Check that out if you’re skeptical. For each occupation, I first offer a few highly correlated searches that support the idea that the data are capturing what these people search for. Then I list some of the interesting other hits from each list. What about the librarians themselves, or those close to them? Could it be they who are searching for Ann Taylor dresses, Garnet Hill free shipping, Lands End home, and textile museums? We can’t know for sure. Of course, if anyone knows how to cover their search tracks, it might be this crowd. You know they’re doctors, because the search terms most correlated the map include “md, mph,” “md, phd,” “nejm,” “journal medicine,” “tedmed,” and “groopman.” What else do they like? Chic Corea, Tina Fey, Larry David, Mad Men (season 1) and The West Wing, Laura Linney, John Oliver, Scrabble 2-letter words, and a bunch of Jewish stuff. Looks like lawyers in lawyer-land are richer and more finance-oriented than lawyers in general. On the cultural side, they search for clothing terms Massimo Dutti, Hugo Boss, and Benetton. They apparently like to eat at Zafferano in London, and drink Caipirinhas. Also, they like “vissi,” which is an aria from Tosca but also a Cypriot celebrity; I lean toward the latter, because Queen Rania is also on the list. Finally, they combine their interests in law, finance, and wealthy attractive women by searching for Debrahlee Lorenzana, the “too-hot-for-work” banker. Poor social scientists, generations of them spending their lives raising a few thousand dollars to ask a few thousand people a few hundred stilted, arbitrary survey questions. Meanwhile, coursing through the cable wires below their feet, and through the air around them, billions of data bits carry so much more potential information about so many more people, in so many intimate aspects of their lives, then we could even dream of getting our hands on. 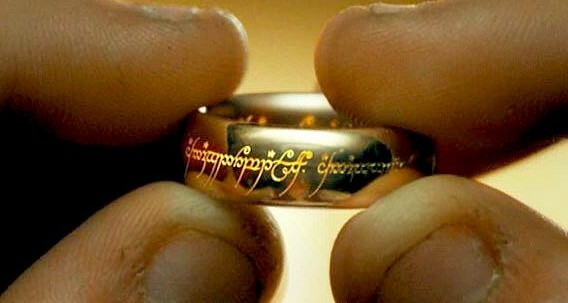 Just think of the power! Marriage is going down, so what does Kanye West have to do with it? 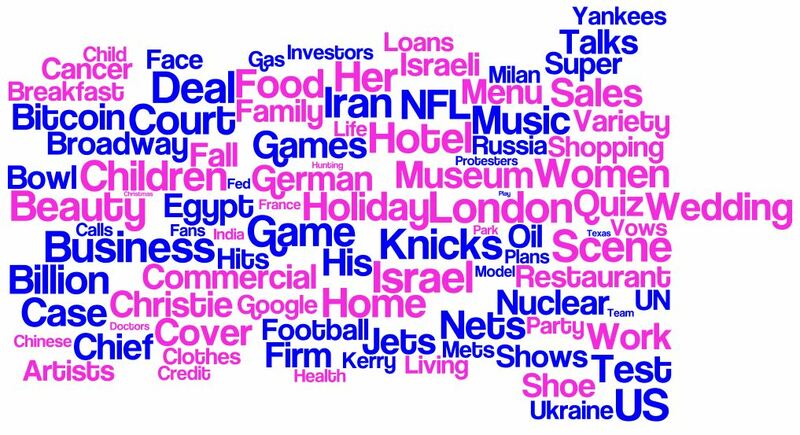 What do Jews Google on Christmas? Why are only 29% of NYTimes.com front page authors women? 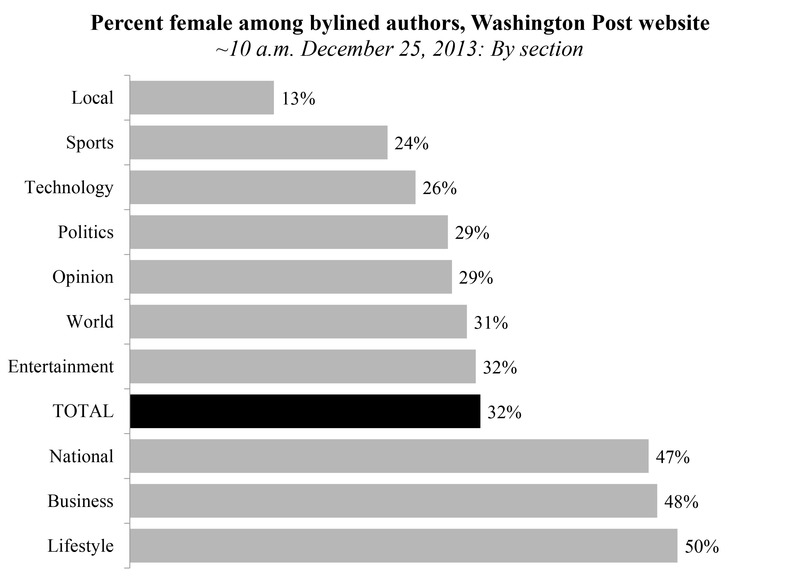 In December I picked a moment to audit the gender composition of authors at the New York Times and Washington Post websites. Not many were women. Here’s a follow-up with more data. For some context, according to the American Community Survey (IPUMS data extraction tool), there were about 55,000 “News Analysts, Reporters and Correspondents” working full-time, year-round in 2012. Of those, 41% were women. This pool of news writers is small compared with the number FTYR workers who report their college major was in journalism: about 315,000, of whom 53% are women. Lots of journalism majors work in other careers; lots of news writers weren’t journalism majors. So, how will the premier newspaper in the country compare? 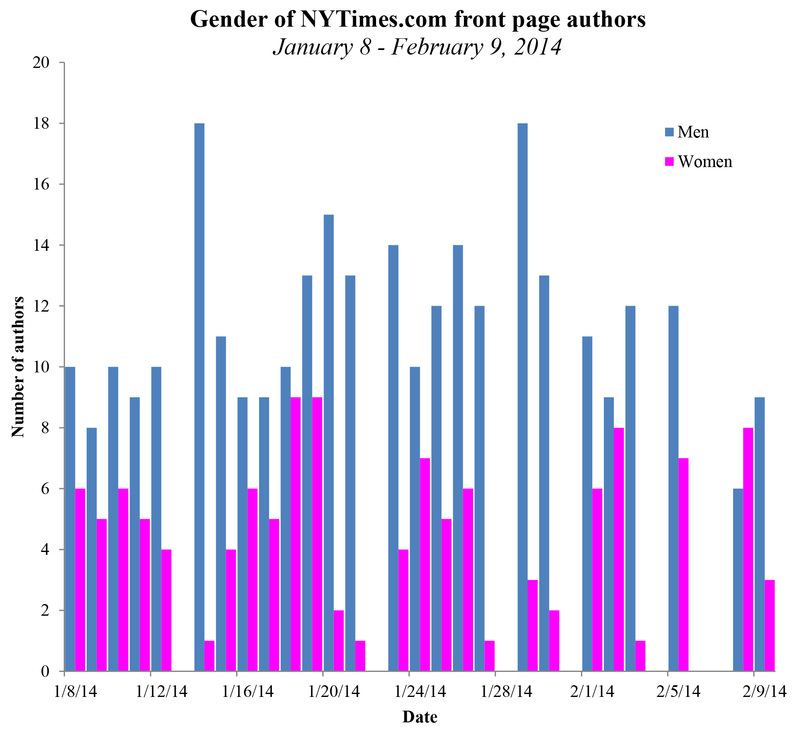 I stuck with NYTimes.com, and checked the gender composition of the bylines that appeared on the front page of the website just about every day between January 8 (the first day of their website redesign) and February 9, for 26 observations over 32 days. I checked whenever I thought of it, aiming for once a day and never more than once per calendar day. I excluded those in the “most-emailed” or “recommended for you” lists. I included Op-Eds and Opinion columnists if they were named (e.g., “Friedman: Israel’s Big Question”) but not if they weren’t (e.g., “Op-Ed Contributor: Czar Vladimir’s Illusions”). On average there were 16 bylines on the front page. Someone — looking at you, Neal Caren — could scrape the site for all bylines, but in the absence of that I figured a simple rule was best. To check the gender of authors, I used my personal knowledge of common names, and when I wasn’t sure Googled the author’s photo and eyeballed it (all the authors I checked had a photo easily accessible). Overall, I counted 421 named authors (including duplicates, as when the same story was on the front page twice or the same author wrote again on a different day). 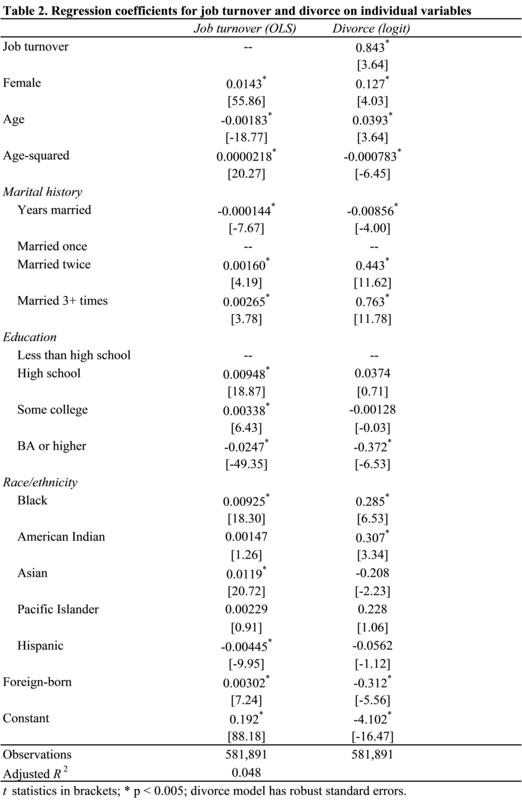 Twenty-nine percent of the named authors were women (124 / 421). Women outnumbered men once (8-to-6), on February 8 at 2:35 AM. At the most extreme, men outnumbered women 18-to-1, at 8:12 AM on January 14. The New York Times is just one newspaper, and one employer, but it matters a lot, and the gender composition of the writers featured there is important. According to Alexa, NYTimes.com is the 34th most popular website in the U.S., and the 119th most popular in the world — and the most popular website of a printed newspaper in the U.S. In the JSTOR database of academic scholarship, “New York Times” appeared in 117,683 items in January 2014, 3.7-times more frequently than the next most-common newspaper, the Washington Post. I don’t know the overall composition of New York Times writers, or their pool of applicants, or the process by which articles are selected for the website front page, so I can’t comment on how they end up with a lower female composition on the website than the national average for this occupation. 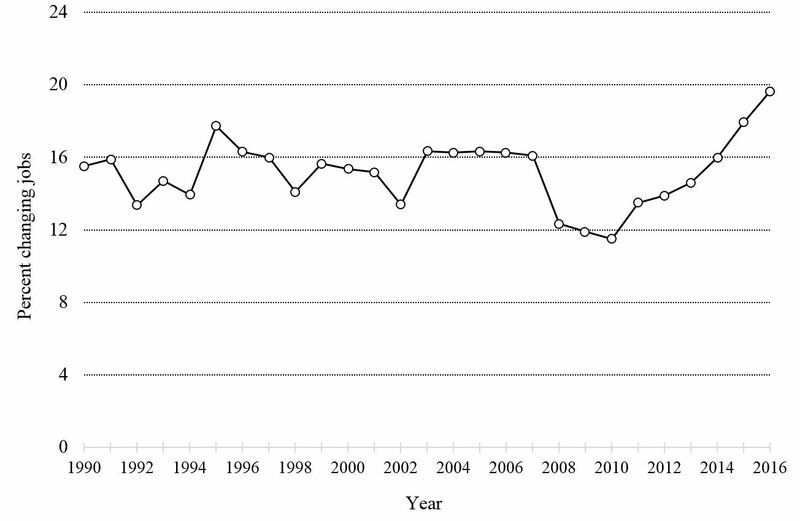 Institutional research on organizational legitimacy implies that size promotes gender integration within establishments, because size increases both visibility to the public and government regulatory agencies and pressure to conform to societal expectations. Size is positively correlated with the formalization of personnel policies and other practices, and formalization is thought to reduce gender-based ascription by limiting managers’ discretion and subjectivity and holding decision makers accountable for their decisions. The New York Times certainly is a high-visibility corporation, and the effects of its staffing practices are splashed all over its products through bylines and the masthead. In fact, maybe that visibility is to thank for the integration it has accomplished already. 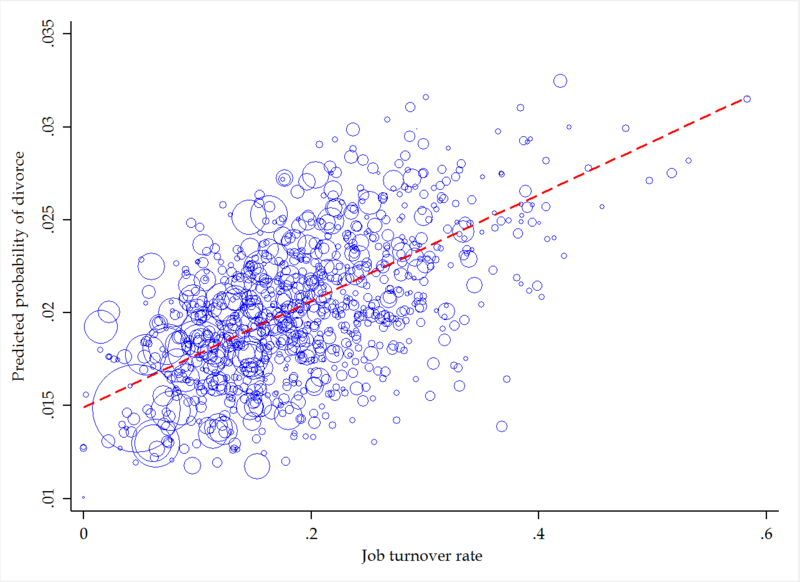 Of course it’s complicated; we also found that the gender of managers, firm growth, and other factors affect gender integration. Maybe to help figure this out someone should repeat this count over a longer time period to see how it’s changed, and how those changes correspond with other characteristics of the company and its social context. The total is 36% female. The segregation score is .42, meaning 42% of men or women would have to switch sections to get an even gender distribution across sections. If that’s what you want. The total is 32% female and the segregation is .41. The grey couple appears pretty homophilous. Note: Authors counted as many times as they appeared (e.g., if a piece appeared in more than one section, or they had two pieces in the same section).